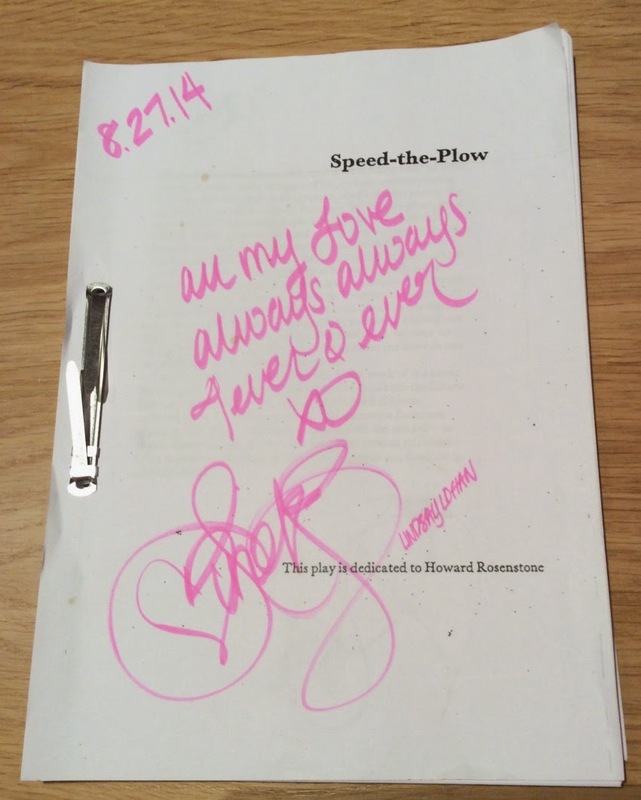 More details about Lindsay Lohan's "Speed-The-Plow" contest. Ends this next Wednesday, Sept 17th! Grand Prize Winner gets 2 tickets to the show, second prize gets a SIGNED copy of the rehearsal script.